Zach is in his second year of the master of public policy program in the Andrew Young School of Policy Studies at Georgia State University. Zach’s background is in trauma research with vulnerable populations, and he is interested in intersections between HAI and trauma, and using HAI research to inform public policy. 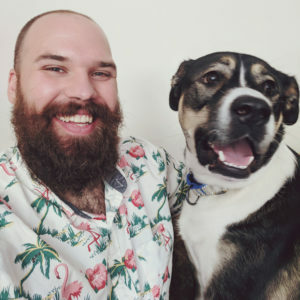 Zach has recently begun assisting in therapy animal training classes and his currently training his very large puppy, Gus, to be a therapy dog. He also has two very sweet cats named Diana and Elizabeth.